The ministry also found that 171 interns died while in the program between 2012 and 2017, the officials said. There were some 150,000 foreign trainees in 2012 and about 270,000 in 2017. 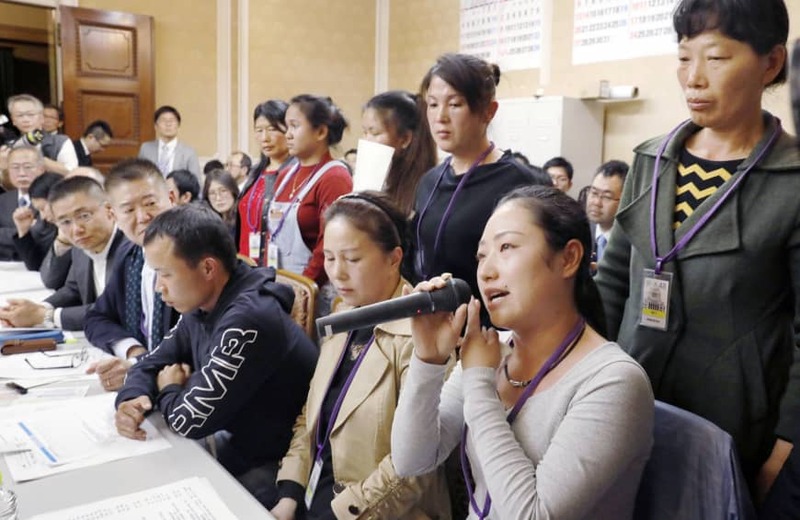 The officials revealed that in 28 of the deaths, trainees died due to accidents that occurred on the job, including by drowning after falling off of fishing boats or suffering from heat exhaustion. Another 59 interns died from sickness. Among them were two trainees who had logged overtime and whose cases were reported to the labor standards inspection office because their working hours were hovering around the life-threateningly high cap specified in Article 36 of the Labor Standards Law. The fatal cases included 17 suicides, including one case in which a trainee was given only four days off over 3½ months. The officials admitted they had not been aware of 43 of the cases, which had either gone unreported by the organizations supervising the trainees’ programs or had not been included in the ministry’s records. “These cases of people vanishing and deaths have left us with a lot to reflect on,” a ministry official said. The official admitted there had been flaws in responding to intern disappearances, such as failures to acquire evidence of alleged abuses and failures in the process of interviewing those who escaped and investigating their cases. The Justice Ministry set up a team tasked with investigating what was behind the disappearance of technical interns after it came under fire in November for mistakes in processing records from a survey on interns who had fled. The appointed officials looked into reports, including from the trainees themselves, claiming that interns had been forced to work under harsh conditions for little pay, to check whether abuses of trainees’ rights had triggered any disappearances. They also verified records to determine whether such violations were related to any reported deaths. The team surveyed 5,218 trainees who had fled their workplaces between January 2017 and September 2018 but were later found, and 4,280 organizations that were accepting such trainees under the internship program, by conducting on-the-spot investigations or by telephone or email. The officials said, however, that 113 firms refused to cooperate and another 270 were unreachable. “I want to take thorough measures to better grasp the backgrounds of the fatal cases through regular inspections,” he said. The officials speculated that the enactment of a new law in November 2017, to improve supervision of companies employing foreigners under the trainee program, has helped curb further abuses of the program. Under the law, Japanese employers are obliged to secure accreditation for their training programs. The government also created a watchdog for the program, to more effectively confirm whether companies are complying with the new rules and not exploiting the trainees. In fact, the probe showed that in 2018, after the implementation of the law, 658 trainees were confirmed as having fled their workplaces. A year earlier, the number stood at 1,163. The findings have prompted the ministry to improve measures aimed at detecting and preventing further violations, including a mandatory requirement for firms accepting foreign interns to transfer wages to the trainees’ bank accounts to enable immigration officers to track the history of such transactions. The government will also require companies using the program to share the number of trainees’ residence cards to help detect whether a trainee is trying to change jobs without permission. The government is also working to strengthen support for foreign nationals and improve multilingual services to make such support more accessible.